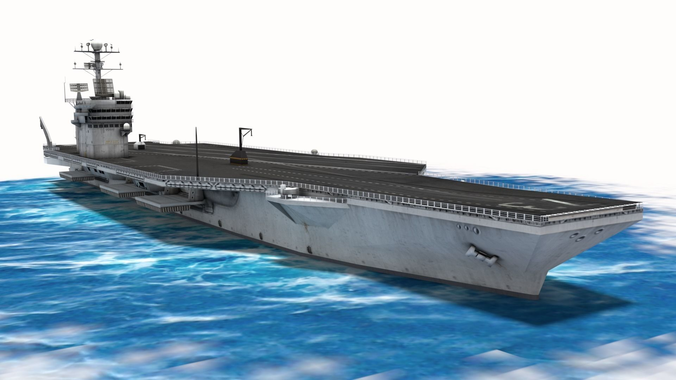 USS George Washington (CVN-73) is a United States Navy nuclear-powered aircraft carrier, the sixth carrier in the Nimitz class and the fourth US Navy ship named after George Washington, the first president of the United States. She was built by Newport News Shipbuilding and was commissioned on 4 July 1992. Preview images rendered in cycles render blender v2.78, file with standard materials also included. Model is easy to change to suit your needs, all objects, materials and textures have relevant names, Model pivot is placed at water position,Real world scale. This is a great model and looks really good in my game mod. The artist was very quick to respond and very professional! Speechless. absolutely speechless. this is the kind of work I want to see more of! Very cool looking model that worked well in my game mod.